In Memoriam: Paul Julius Szilagyi, Ph. D.
His son, Bryan Dawson-Szilagyi wrote: “Apuka,” “Pali,” Dr. Paul Szilagyi, passed away suddenly, June 9th, of a heart attack at the age of 71. We will miss his unique humor, wisdom, and precious, colorful life. His extreme humility left much of his past hidden, even from me. I do know Paul was a "Pesti Srac" (Kid from Pest), young Freedom Fighters during the 1956 Hungarian Revolution. The communist regime declared the family "enemies of the state," because of their name, so he was not allowed to enter the Technical University for chemistry despite his high marks on the entry examinations. His only option after high school was to work at the renowned Hungarian pharmaceutical firm, Chinoin, as a junior chemist. He was riding his bicycle home from work as the Revolution escalated. With guns blaring around him, someone asked him to help move cannon near the heavy fighting at Ulloi Ut (Ulloi Avenue). He dropped his bicycle, took part in the fight, and there was now no turning back. Forced to escape Hungary after the Soviets crushed the Revolution, Paul found his way to Miami, Florida. He would soon receive a full scholarship to Colorado College where he would earn his Bachelor's degree in Chemistry. His study there would yield one of his favorite stories. He left warm Miami, as many do, in shorts, sandals, and a short-sleeved Hawaiian shirt. He walked out of the airplane with his two bags in a Colorado January in that same outfit! He often commented about how much help he received and was eternally grateful. He climbed Pikes Peak "many times," wrestled, and lived the American student's life. He loved the adventure in Colorado, including his tempestuous Mexican-American girlfriend. How appropriate that I would marry a tempestuous Mexican girlfriend! He got a kick out of it. He visited Indian reservations and loved to show off his native-American vocabulary and knowledge of their history. He was offered scholarships for graduate studies at UC Berkeley and Case Western in Cleveland. With his love of his heritage, he chose Cleveland, the 2nd largest Hungarian city in the world at the time. He joined the Hungarian Freedom Fighters Federation and headed a Hungarian American Students’ Association chapter. He excelled once again and would become the only Hungarian American to complete his Ph.D. under the tutelage of Dr. George Olah, Nobel Prize Winner and fellow Hungarian with whom he would go on to publish a number of scientific papers. "Dr. Szilagyi" would become an expert in organic chemistry, but few know that he also has numerous patents for his biomedical inventions. One of his first patents was a groudnbreaking vascular prosthesis, marketed as the "Szilagyi Woven Graft." He also invented a process to biocarbon coatings to improve prosthetic implants and aid in the ingrowth of bone. He worked for many years at Loctite where his research was instrumental in developing "cyanoacrylates," commonly used in "SuperGlue." He would work in gold refinement and metallurgy and received a patent on “bright zinc electroplating.” He was also a Adjunct Professor of Chemistry at the University of Miami where he conducted research on his novel approach to water purification. I wish I could complete his research as it would revolutionize the world. Paul met my mother in Miami in the early 1980's. They were married in 1985. It was an opposites attract scenario. Sort of an Ilona Massey meets Mr. Higgins of Magnum, PI. But, they traveled the world from Europe to the Caribbean to Alaska. They were married until my mother's passing in 2004. Both were active Freedom Fighters. I was honored to have been officially adopted by Paul when I was in my 30's. He remarried in 2005 to Magda, who was there for him in the end. After retirement, Paul focused on his hobby, stamp collecting. His collections earned many prestigious awards reflecting his 40 years of effort and investment. He organized his collections into historical displays from Hungarian Airmail and Zeppelin services to mail changes due to Trianon. His love of history was also reflected in his work documenting Hungarian contributions to the sciences. As we know, his other "love" was the American Hungarian Federation. He was passionate about it. He felt we all had a responsibility to set the past aside and join forces to reinvigorate the now 100-year-old organization. He felt the Federation's past accomplishments should not be left for history, but should be fuel for the future. He was frequently frustrated by "friends" making promises, but never delivering. But he continued to work hard, often spending 12-15 hours a day seeking support and organizing. He spent tens of thousands of dollars of his own retirement savings, despite not having any to spare, before he would dare ask others to contribute as an example to those who often had the money to spare. He pushed hard, often too hard, and his health suffered. But, while some resisted, his efforts were remarkable. Charged with reorganizing the Federation at a meeting in 2002, in a few short years, the Federation was once again the largest Hungarian-American umbrella organization in the US. He was proud of his work as he was proud of all those who sacrificed for the cause. But he was often impatient with the pace of change. Prophetically, he often told me he didn't have time for diplomacy since he lacked the luxury of time to wait. I wish we all could have worked faster. Just a few short hours before his passing, he was, as usual, at his computer writing a long Organization Committee email report to the Executive Committee outlining what needed to be done to continue to improve governance in the Federation. In 2006, at the commemoration in honor of the 50th anniversary of the Hungarian Revolution at Washington, DC's beautiful Cosmos Club, the Federation awarded him its highest honor for the sacrifices he made in fighting for Democracy and his commitment to Hungarian-American causes, the Col. Commandant Michael Kovats Medal of Freedom. Paul served as former Executive Committee Chairman and most recently as Chair of the Organization Committee. I am so very happy that he was able to attend the recent Memorial Day commemoration at Arlington Cemetery on May 27th. I immediately noticed his fatigue... the trip (and heat) was hard on him. But he had a chance to see his baby grandson. Little did we know it was also good-bye to all. Paul had a quadruple by-pass 7 years ago and, along with his diabetes, suffered multiple, often difficult, complications. He was sitting at his kitchen counter browsing his new stamp magazine when he suddenly yelled out and immediately fell from the stool. They were unable to resuscitate. He joins my mother, but leaves behind his wife Magda, his son Bryan, daughter-in-law Chiquis, and grandchildren Xitlalli and Vajk. We will miss him beyond words." “...pusztulunk, veszünk...”- idézzük egyre gyakrabban Tompa Mihályt, amint elbúcsúzunk azoktól, akikkel együtt jöttünk “...új hont keresni túl a tengeren”. Most szomorúan veszünk búcsút dr. Szilágyi Páltól, Miami magyar közössége, az Amerikai Magyar Szövetség, az 56-os Emlékbizottság vezeto személyiségétol. Szilágyi Palit származása miatt nem vették fel az egyetemre, érettségi után a Chinoin vegyészeti gyárban kapott alkalmazást. A forradalomban, mint húsz éves “Ülloi úti pesti srác” vett részt, ezért menekülnie kellett. Amerikában végre o is, mint számos társa, tovább tanulhatott. A Colorado College-ban kapott ösztöndíjat és ott került kapcsolatba az amerikai magyar diákszövetségen, az ÉMEFESZ-en, keresztül a magyar társakkal. Mint a helyi diákszervezet vezetoje vett részt a szövetség munkájában és kötött egy életre szóló barátságot sokunkkal, akikkel kesobb is együtt dolgozott számos magyar szervezetben és feladatkörben. A Chioninban szerzett tapasztalat szerettette meg Palival a vegyészetet, így a College elvégzése után Clevelandban a Case Western egyetemen folytatta tanulmányait és dr. Oláh György, a késobbi Nobel díjas tudós, irányításával szerezte meg ott a doktorátust. Már egyetemi tanulmányai idején több szakcikkel hívta fel magára a figyelmet, majd számos találmányt jegyzett az orvosbiológia szakterületén. A Loctite cégnél végzett kutatása eredményezte, többek között, annak az anyagnak (cyanoacrylates) a kifejlesztését, amely “SuperGlue” néven lett ismert. Késobb az University of Miami címzetes professzoraként a víztisztítás újabb módszereit kutatta. “Pali igazi jó barát volt. Szívét, lelkét adta az Amerikai Magyar Szövetségnek és új életet lehelt a magyar örökségünk ápolásába” - búcsúztatta Micheller Attila, az AMSZ országos elnöke. Senki sem tett annyit a száz éves szervezet újraélesztése és szervezése terén, mint Szilágyi Pál. Az Executive, majd a Szervezo Bizottság elnökeként fáradhatatlanul dolgozott és áldozott idot, pénzt, munkát azért, hogy az egykor minden magyar egyesületet összefogó szervezet megint az egész amerikai magyarság érdekképviseloje lehessen. Munkássága elismeréséül 2006-ban a forradalom 50-ik évfordulóján a Washington-i Cosmos klubban rendezett ünnepségen a Szövetség legmagasabb kitüntetésével, a Kováts Mihály Szabadság Éremmel tüntették ki. Bár Pali egészségi állapota a hét évvel ezelotti szívoperáció óta fokozatosan romlott, a vég könyörtelen hírtelenséggel következett be. Negyven év óta lelkes bélyeggyujto volt, június 9-én is bélyegeivel foglalkozott, amikor szívéhez kapva összeesett és már nem lehetett feléleszteni. Felesége Magda és fia Bryan, Pali akarata szerint, hamvait a tengerbe szórja. A megemlékezést július 8-án tartják a Miami First Hungarian Church of Christ temlomban, majd a fogadásnak a közeli Kossuth Klub ad helyet. Emlékére adományokat az American Hungarian Federation fogad. (C/O Sándor Murray treasurer 2805 56th Place, Woodside NY 11377). Paul Julius Szilágyi, a chemist who fought during the Hungarian rebellion of 1956, died June 9. He was 71. The cause was heart failure, said his wife Magda Szilágyi, who lived with him in North Miami Beach. Szilágyi taught at the University of Miami, was a leading member of The American Hungarian Federation and was a recipient of the 2006 Colonel Commandant Michael Kovats Medal of Freedom. ''He fought against the Communists because he valued freedom and wanted to live like a free man,'' said Magda Szilágyi. 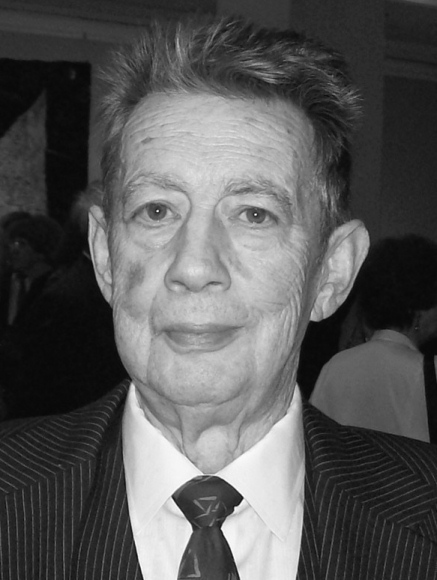 Szilágyi was born Jan. 26, 1936 in Budapest, Hungary. After graduating from high school, he worked for a pharmaceutical company. In October 1956, political unrest in Hungary reached its peak, and Soviet tanks roamed the streets to control student uprisings. ''He was driving his bicycle and someone asked him to help move a cannon. He put his bicycle down and there was no turning back,'' said Peter Hargitai, an award-winning translator of Hungarian literature, who featured Szilágyi's story in one of his books. For more than a week, Szilágyi helped to carry the bodies of the wounded. He also used some of his knowledge in chemistry to manufacture homemade bombs. During a protest, ''Hungarian secret service and Soviets were shooting into the crowd . . . A close friend of his was killed in the shooting,'' said Hargitai. Szilágyi left his parents behind and fled to Austria, where an international refugee organization helped him travel to meet an aunt living in Miami. He later received a scholarship through the International Rescue Committee to Colorado College, where he earned a bachelor's in 1961. In 1969, Szilágyi earned a master's and a doctorate in Chemistry from Case-Western Reserve University in Cleveland, while working with Hungarian Nobel Prize winner George Oláh. He did groundbreaking work in the field of vascular prosthetics, and patented an implantable device named after him in 1986. He also did chemical research in Cleveland for Standard Oil Co. of Ohio from 1968 to 1971. He worked for several companies before returning to Miami in 1984. He taught at the University of Miami until 2001, and did consulting work for Cordis Corp. During his free time, he enjoyed collecting stamps and won international awards for having one of the world's best collections. Besides his wife, survivors include his stepson Bryan Dawson-Szilágyi. A service will be at noon Sunday July 8 at the First Hungarian United Church of Christ, 2236 NW 14th St. in Miami.